Cut 2 Tooth shape pieces about 6 inches wide by 7 inches tall. Sew together both panels about 1/4" from edge leaving a 2 inch opening at the top. Stuff tooth with poly-fill. Take 11 inches of ribbon fold in half slip into the center opening of the top of the tooth, carefully sew tooth shut. Cut one pair of wings from any colored felt, I like the sparkle felt. It measures 8 inches wide by 4-1/2 inches tall. Make sure you put the curves in, this is one piece. Pin your felt wings to the back of the tooth and hand sew it to the back to secure. Next cut a 4 inch by 2 inch rectangle, cut one end into a triangle tip for the flap of your tooth envelope. Sew together sides leaving the flap open. Attach one small piece of "loop" of hook & loop tape" to the tip of the envelope flap. It will stick to your envelope to close. 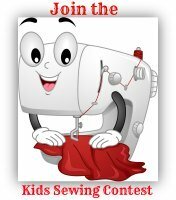 Then pin your envelope on your tooth and hand sewing, tack down the corners. Cut white felt hands and place to look like they are holding the envelope. Hand sew tacking them in place. Now grab your fabric glue, you need 2 googly eyes, place them to make a face on your tooth. Use Black Glitter glue to make the smile. Set aside to dry and then you have a simple pillow for your tooth. Project time is approximately 1 hour. Definitely making this for my textiles assignment - my sister will love it! It was "love at first sight!" They are SO CUTE! Hi I thinks sooooo cute!!!! My kids love these. Good job! 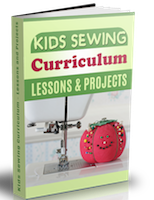 This is cute & easy to make. My sister and I are going to make these. So cute! These are totally cute, I am going to make one! These tooth fairy pillows are so cute!!!!!! Way to go kiddo. Looks great! I think your tooth fairies look the best of any I have seen. Hope you enjoy other projects. Great job Ally, keep up the good work your doing great at creating your own projects. Adorable, I'd totally buy one. 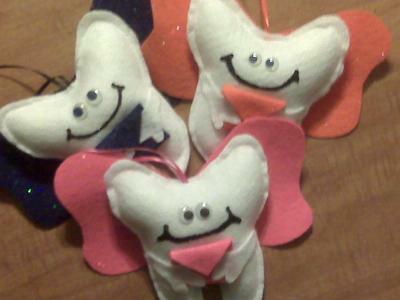 I think your tooth fairies are adorable!It looks easy for beginner sewers.So cute! I think your doing a great job! Those are very cute ! Keep up the good work ! !